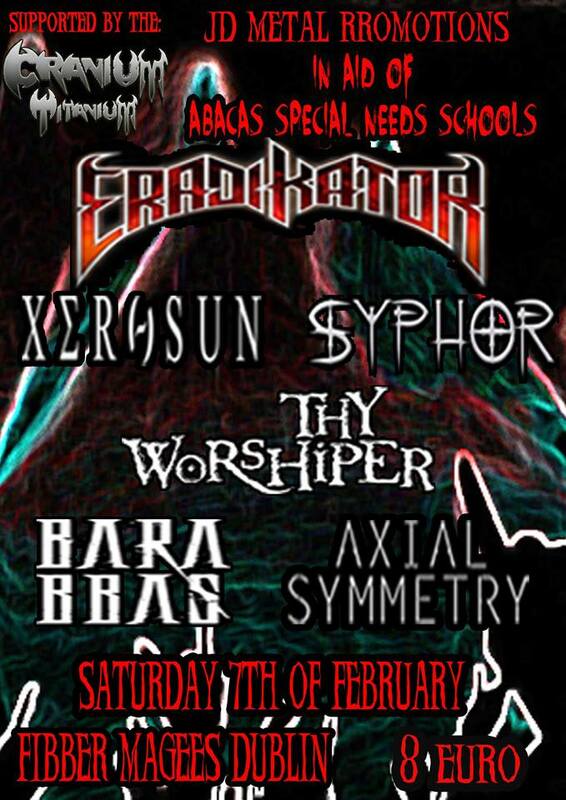 This weekend sees JD Metal Promotions are staging a second event in aid of the ‘Abacas Special Needs Schools’. As a follow up to 2014’s event, which was a great success and saw JD Metal Promotions take in over €1650 on the night. Plus further online donations and minus the few expenses which were inevitably incurred for venue etc… they were able to donate over €1400 to the school. It all goes a long way in helping these children with special needs. It also helps fund a school which supplies invaluable assistance to parents who otherwise would be left helpless. 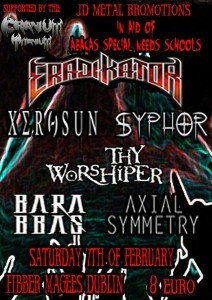 With this years event JD Metal Promotions hope to make bigger and louder. €8 euro admission. Facebook Events page, https://www.facebook.com/events/1501242303492322 Please share as it is for a good cause & Thanks in advance.